8. How can I find a better-paying savings account? With the average bank savings account yielding a pathetic 0.24%, it's no wonder you're on the hunt for a better deal. But interest rates aren't the only thing to consider: "You need to factor in fees," says Schwark Satyavolu, co-founder of BillShrink. Type in your current balance, the features you want (such as online bill paying or ATM access), and other info, and this innovative site coughs up the savings accounts and CDs that will leave you with the most dough in your pocket. 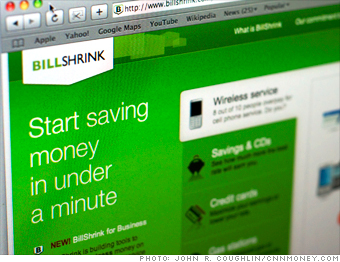 Coolest feature: BillShrink can send you alerts when a better rate becomes available. Caveat: The site gathers data from 54 banks and credit unions around the country, including most of the biggies. But good ones may slip through the cracks. Try this too: Visit Bankrate.com, the data supplier for our savings charts, which has a more comprehensive list of the best rates in the U.S. But you'll have to do the legwork on fees yourself. NEXT: 9. Which neighborhood should I live in?